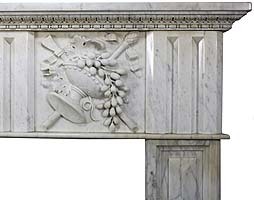 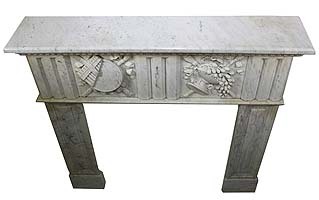 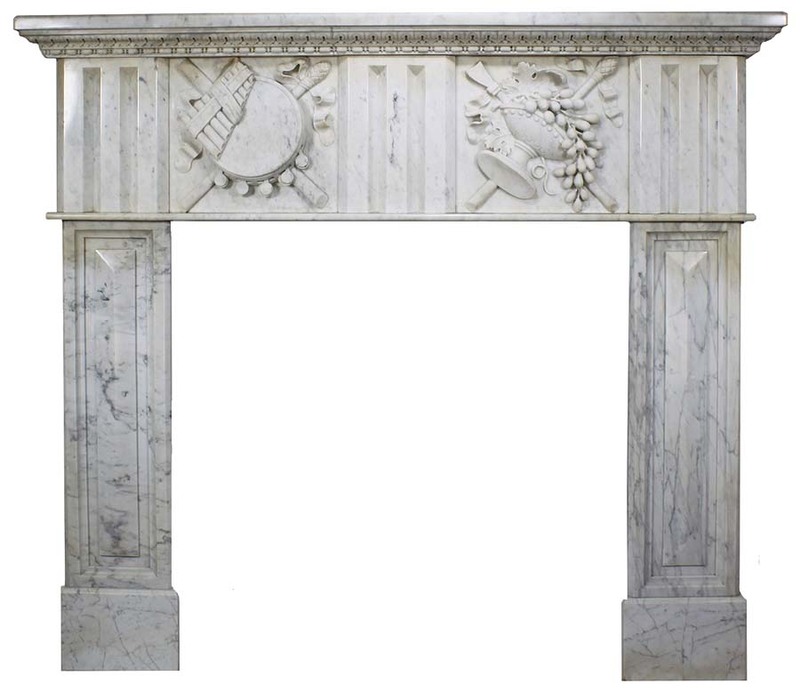 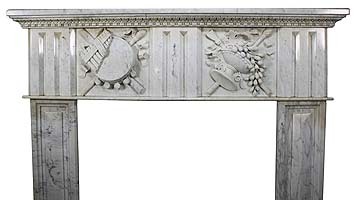 Fine French 19th Century Louis XVI Style Carved White Marble Fireplace Mantel Surround. 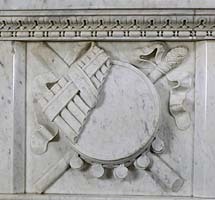 The apron with carvings of musical instruments and allegorical to abundance with fruits and ribbons within an urn. Circa: Paris, 1880.